Sonarr installed successfully. What to do after that? 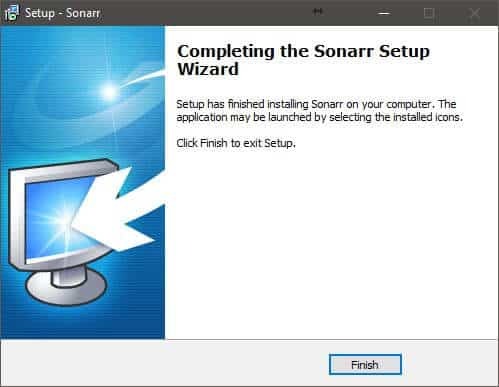 In order to install Sonarr on Windows, we need to visit https://sonarr.tv/#download to download the appropriate installer. In our case, we click on the Download button from the Windows section and wait for the download to finish. 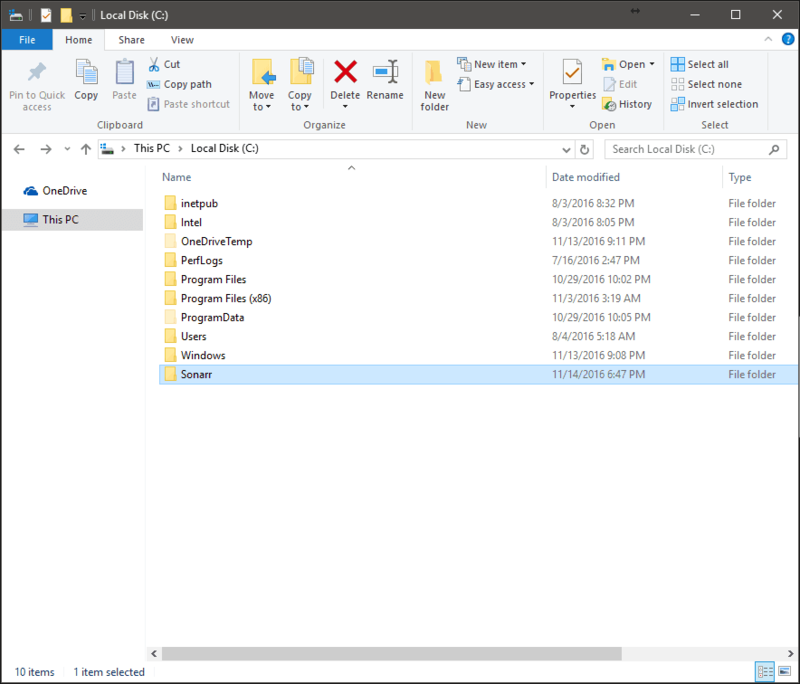 Next, we will need to go to C:\ drive, and create a new folder named Sonarr. 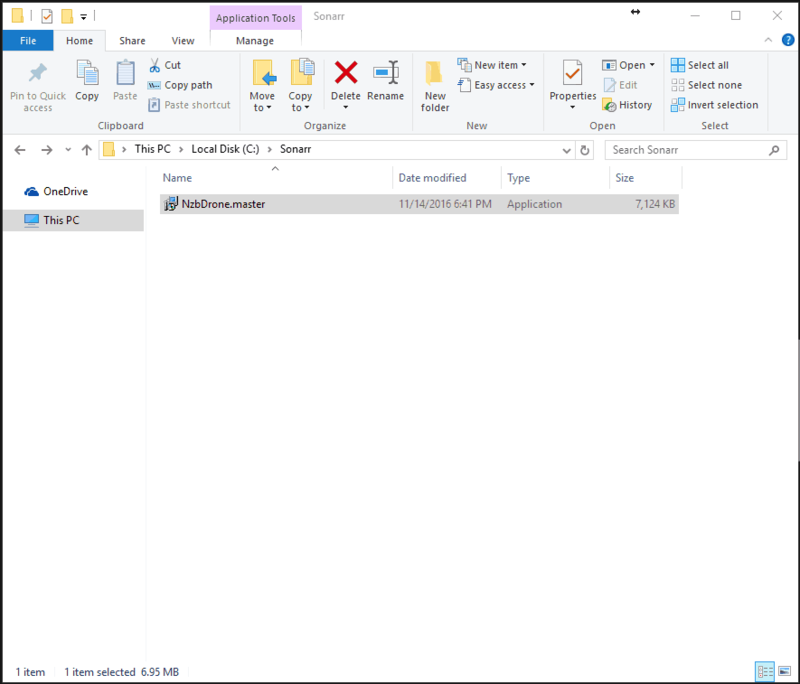 Please note that you can use any drive, but it is important that the Sonarr drive should have write access on your chosen drive. Copy the previously downloaded file named NzbDrone.master file in the Sonarr folder you just created, right click on the file and click on “Run as administrator”. This step is important because by running the installer as administrator, the port and URL will be registered with Windows, which is required for remote access. 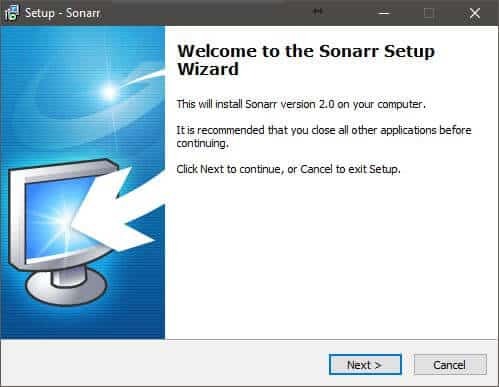 The Sonarr Setup Wizard will start, and you will need to click next to start the Sonarr setup with the default settings. 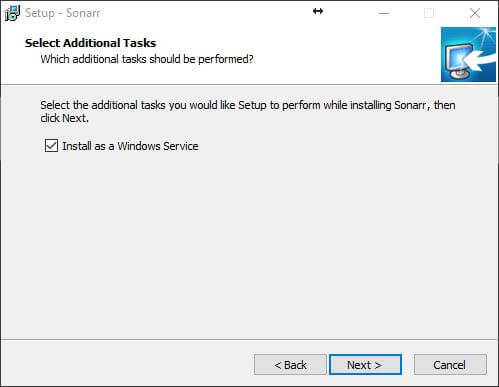 Make sure that the option Install as a Windows Service is ticked in for the Sonarr service to be started automatically after a reboot. 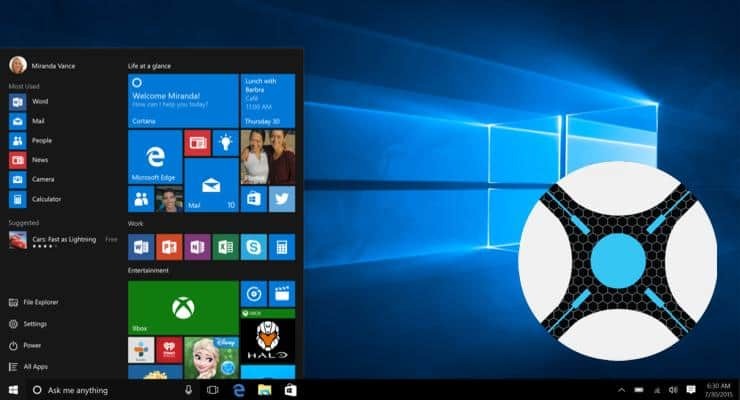 After Sonarr Windows setup finishes, a Sonarr shortcut will appear on your desktop. You can double click on the Sonarr shortcut , or you can go to http://localhost:8989 in order to open the Sonarr homepage in order to start the service configuration and begin creating your library. There you have it! Now you can start configuring Sonarr. Add your TV shows and let Sonarr download, rename, organize and ping a Kodi library update for you. So the next time you open Kodi, your latest episode is download and ready for you to watch and enjoy. 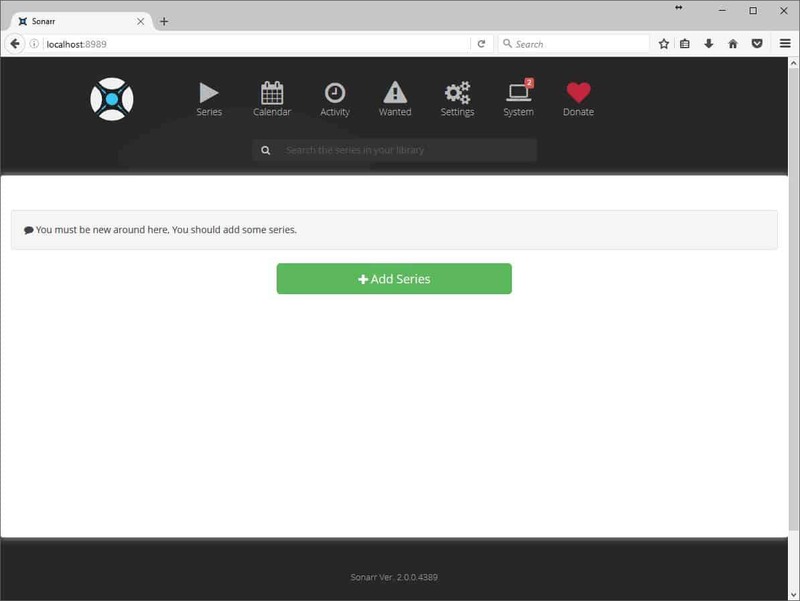 Go ahead install Sonarr on Windows 10 and add features to your HTPC or Home Server.